The Ebonite Basic Single bowling bag is made of 600 Denier polyester oxford, has welded steel hardware, a zippered bowling accessory pocket, holds up to size 15 bowling shoes, heavy duty webbed nylon carrying handles and an adjustable shoulder strap. The Basic Single has all the features of more expensive bowling bags at a much lower price! 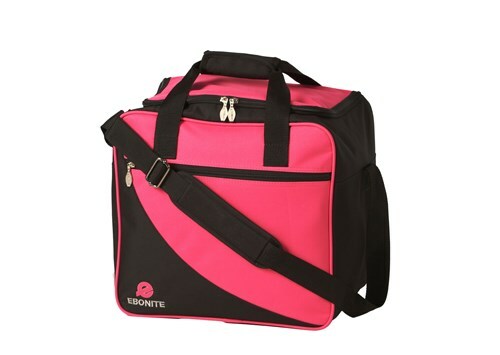 Due to the time it takes to produce the Ebonite Basic 1 Ball Tote Pink ball it will ship in immediately. We cannot ship this ball outside the United States.